I know what you may be thinking, but before you say anything or just click away because you feel like this is just a bad idea, just stay for a few minutes hear me out. Yes, I mean you too. Stay. So, I too was skeptical when I first heard about this. Not gonna lie, I was even a tad bit grossed out. I like pickles on my sandwiches, but the idea of my chicken tasting like a pickle? Not so appetizing. But fortunately, that’s not what’s going on here at all. Let me be clear: you are not going to take a bite of this and just taste pickle. 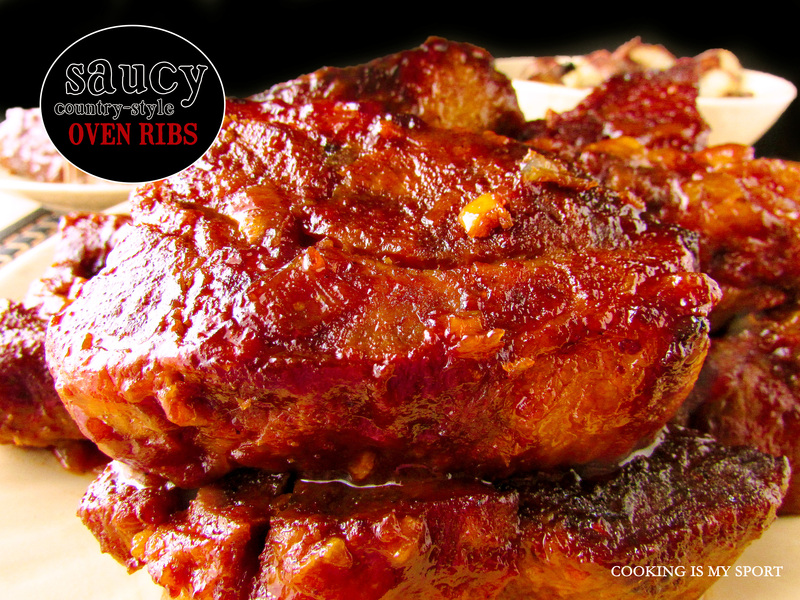 The whole purpose of brining in the first place is to flavor and tenderize the meat so that it stays juicy and doesn’t dry out while frying. Most times people do this by brining their chicken in buttermilk. I’ve brined chicken in both buttermilk and now, pickle juice. Would you like to try and guess which one that I prefer? Yep. The pickle juice. Seriously. Normally when I did my buttermilk brines before, I would flavor the buttermilk with some spices, just to try and get some extra flavor infused into the meat. But this time, I didn’t have to bother; the pickle juice does all the work for me. All I did to prepare the chicken for the brine was throw it in a gallon size Ziploc bag, then pour the pickle juice over it, seal the bag, then put it in the fridge and walk away. That’s literally it. The spices in the pre-made pickle juices worked together to not only keep the meat moist, but they infused incredible flavor into it as well. Once the chicken is taken out of the brine, it gets tossed into my tried & true flour mix & batter. This is the best fried chicken batter I’ve ever had or made, bar none. The crust is just out of this world. It crunches in your mouth. It’s full of flavor. It stays absolutely PUT. Even when it gets cold. Even after it’s been refrigerated, OVERNIGHT. Believe me, once you’ve made it this way, you will never go back to another fried chicken batter as long as you live. I’m not worried about sharing this recipe with y’all because I know that once you put aside your doubts and just try this out, I’m going to make pickle brining believers out of all you. The results will speak for themselves. Your meat is going to be so tender and juicy, with just the *faintest* tang from the pickle juice. That tang is offset perfectly by the savory saltiness of the crust. It works– I was honestly surprised by how well it works. You know how much I was won over by this? Every time we finish off a jar of pickles now, I keep the jar of juice in the back of my fridge, impatiently waiting until we go through enough of them to have enough juice to brine another batch of chicken so I can fry it up again. If that’s not dedication, I don’t know what it is. Sharing at this week’s Fiesta Friday #237, co-hosted this week by Jhuls @ The Not So Creative Cook and Diann @ Of Goats and Greens. 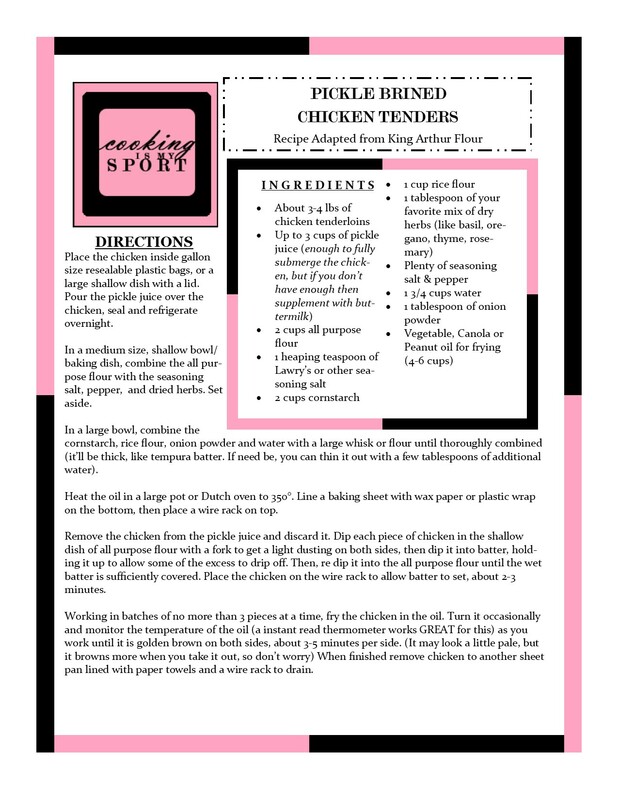 Place the chicken inside gallon size resealable plastic bags, or a large shallow dish with a lid. Pour the pickle juice over the chicken, seal and refrigerate overnight. In a medium size, shallow bowl/baking dish, combine the all purpose flour with the seasoning salt, pepper, and dried herbs. Set aside. In a large bowl, combine the cornstarch, rice flour, onion powder and water with a large whisk or flour until thoroughly combined (it’ll be thick, like tempura batter. If need be, you can thin it out with a few tablespoons of additional water). Heat the oil in a large pot or Dutch oven to 350°. Line a baking sheet with wax paper or plastic wrap on the bottom, then place a wire rack on top. Remove the chicken from the pickle juice and discard it. Dip each piece of chicken in the shallow dish of all purpose flour with a fork to get a light dusting on both sides, then dip it into batter, holding it up to allow some of the excess to drip off. Then, re dip it into the all purpose flour until the wet batter is sufficiently covered. 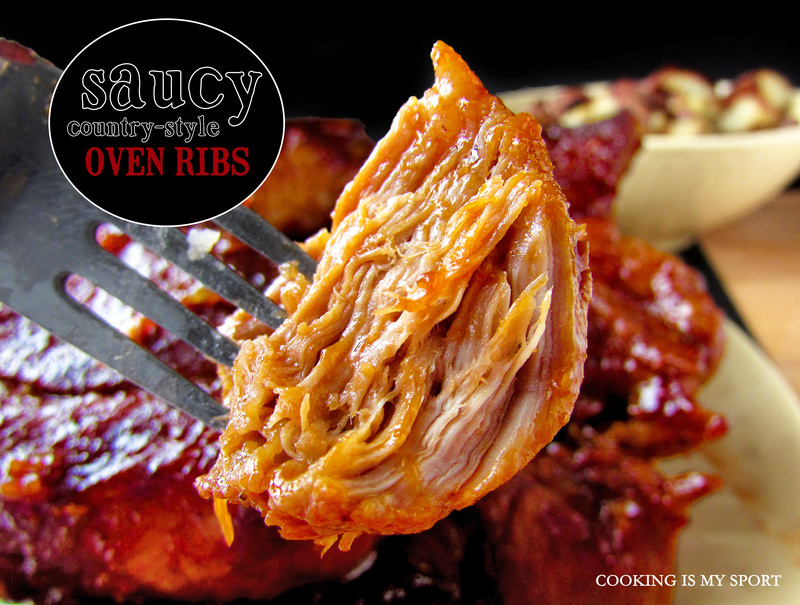 Place the chicken on the wire rack to allow batter to set, about 2-3 minutes. Working in batches of no more than 3 pieces at a time, fry the chicken in the oil. Turn it occasionally and monitor the temperature of the oil (a instant read thermometer works GREAT for this) as you work until it is golden brown on both sides, about 3-5 minutes per side. (It may look a little pale, but it browns more when you take it out, so don’t worry) When finished remove chicken to another sheet pan lined with paper towels and a wire rack to drain. But cheating/avoiding my sisters? That’s never gonna happen. I heard someone say on a tv show once that the only thing just as certain as death and taxes were mistakes. Here, I have to agree. No matter how hard you try to strive for perfection, sooner or later you will mess up somehow. It’s gonna happen. You will make a mistake. And that’s okay; accept it, move on and learn from it. It’ll make you a better person. In fact, NOT thinking you’re going to ever make a mistake IS actually making a mistake so if you’re thinking that way, then you should really stop because you’re actually mistaken. I bring up the whole death, taxes and certainty bit because it’s really the first thought that came to my mind when I sat down to write out this post. If I had to pick out a handful of things that have just been permanent fixtures throughout my life, then this recipe would certainly be one of them. And with good reason. It’s probably one of the best cakes I’ve ever had. Hands down. No contest. 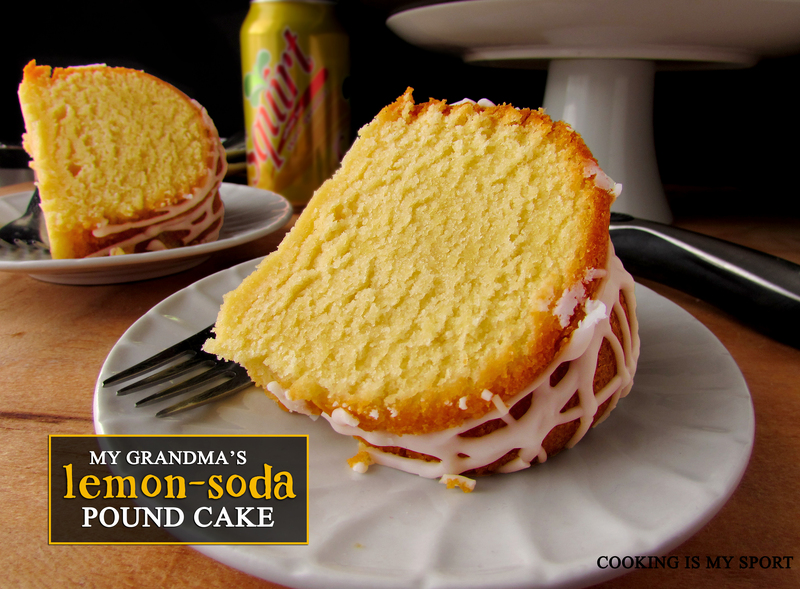 My grandma’s desserts are the thing of legend in my family, and although she knows how to do bake just about anything, this pound cake is still the most treasured darling of them all (with the possible exception of her caramel cake, but you guys aren’t ready for that level of awesomeness yet). 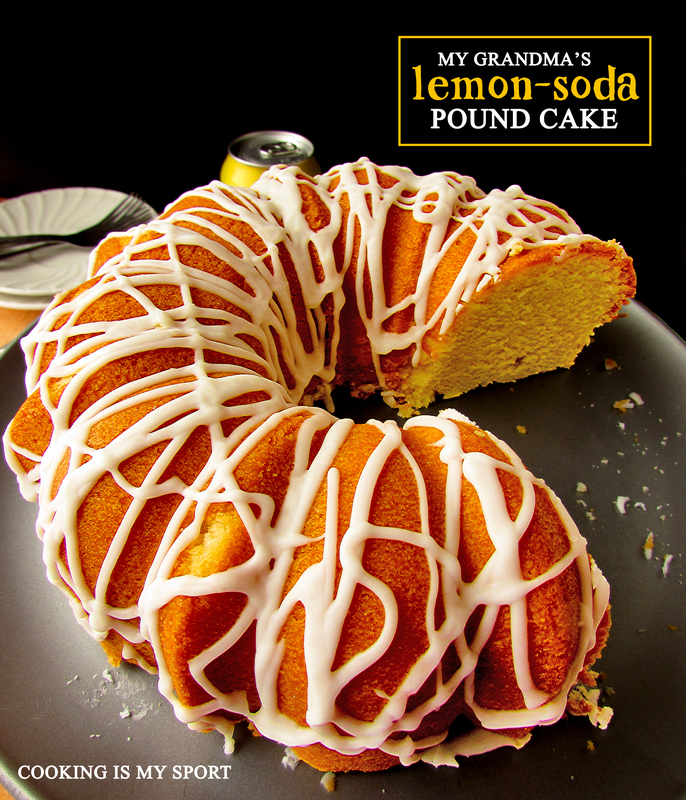 When I was growing up, I just got used to almost always seeing this pound cake sitting on my grandparent’s dining room table underneath her fancy clear glass- domed serving plate as the ‘standard’ dessert for everyone to have after dinner throughout the week. Everyone loves it. Everyone. 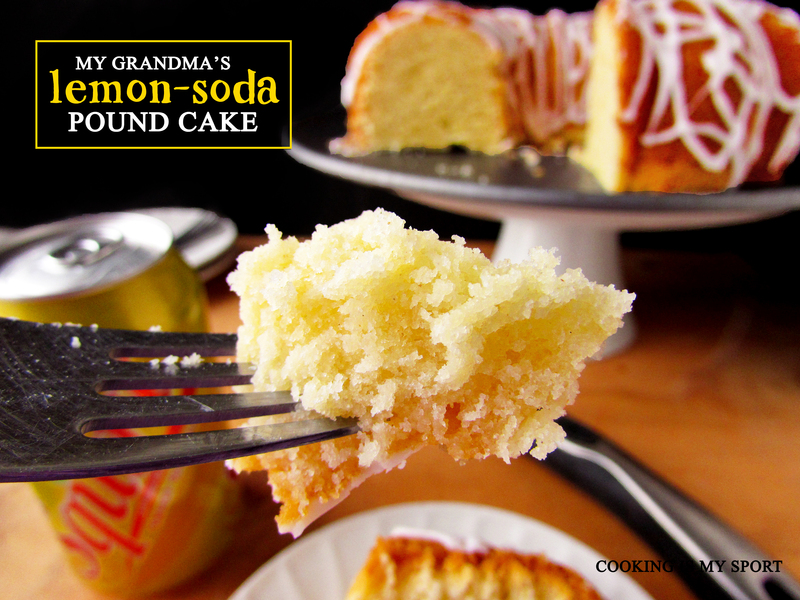 I’ve made quite a few pound cake recipes before and I still have to say, my grandma’s is THE moistest I’ve ever had- which is no easy task for pound cake sometimes. It practically melts in your mouth. 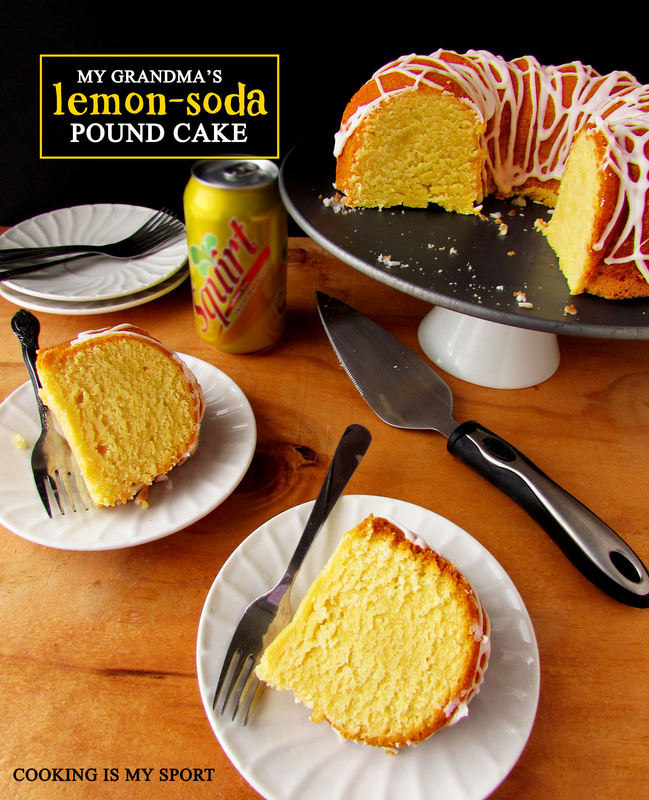 I used the phrasing “lemon soda” in the recipe title on purpose: we typically either use Squirt or 7-up in our cake, but honestly ANY name-brand lemon lime soda will do. (Sprite, Squirt, Sierra Mist, 7-Up, Faygo, etc). Just make sure that the soda isn’t flat. For some reason having the carbonation really makes the difference in helping the flavor come through. Normally, I’m not even a big fan of lemon desserts, but I just can’t get enough of the slight tartness from the citrus that offsets the sugar in the cake. 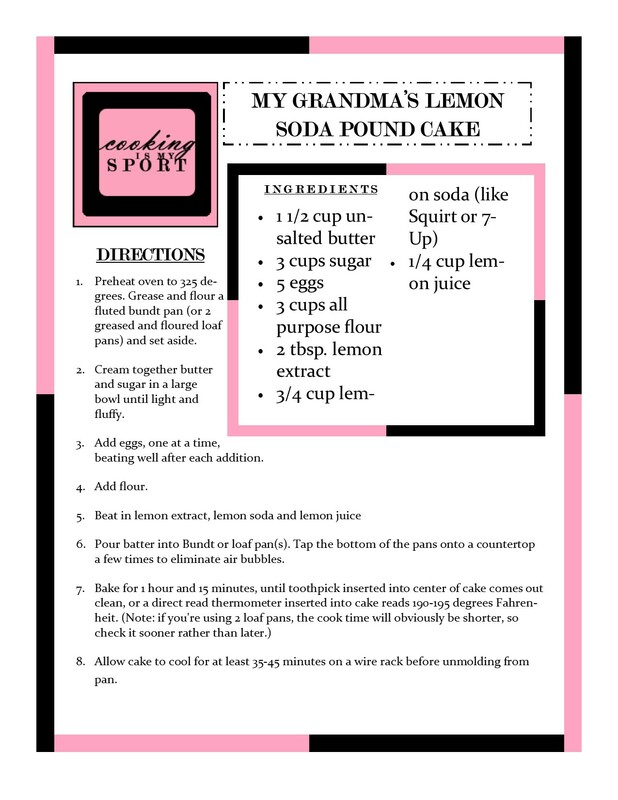 I know it SEEMS like a lot of lemon flavoring with the extract, lemon juice AND lemon soda, but trust me: it all works beautifully together. 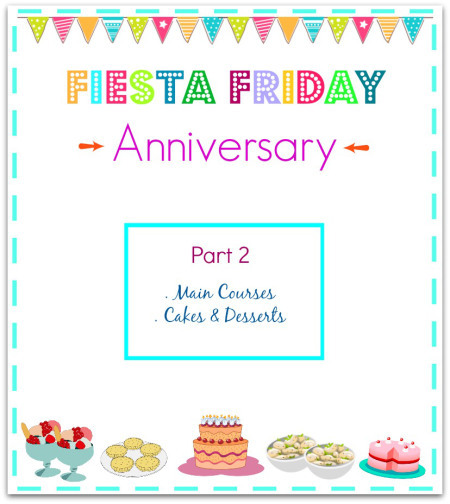 When Angie asked me to help co-host this week’s Fiesta Friday #67 with Caroline@CarolinesCooking, I didn’t hesitate. 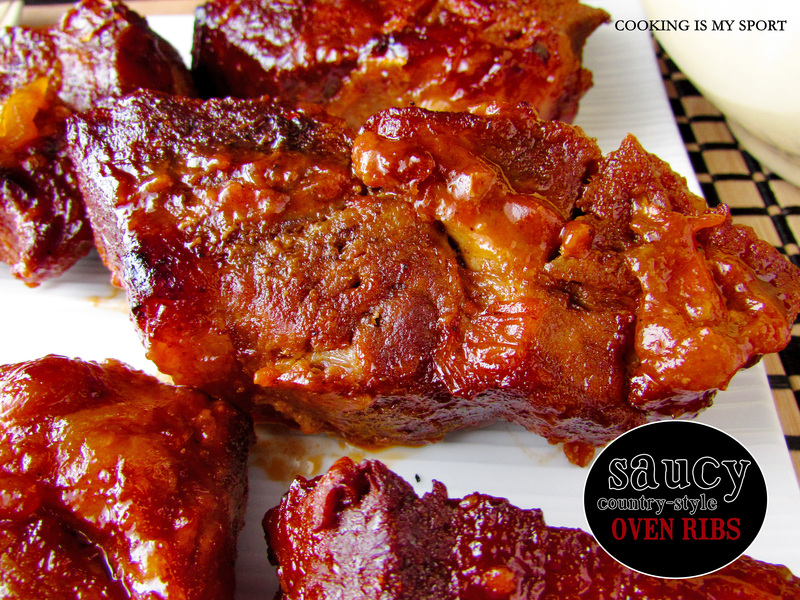 Not just because I love co-hosting, but also because it would give me the chance to share this recipe with all of you that is so close to my heart. I hope you all enjoy it. For those that are new to the Fiesta, welcome! We’re happy to have you and invite you to join our link up and the festivities by clicking the link to the website. Preheat oven to 325 degrees. Grease and flour a fluted bundt pan (or 2 greased and floured loaf pans) and set aside. Cream together butter and sugar in a large bowl until light and fluffy. 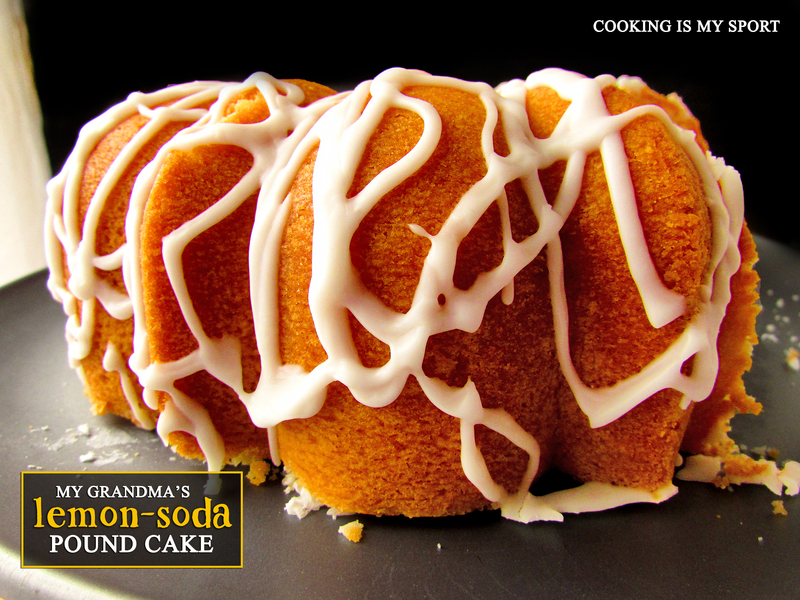 Pour batter into Bundt or loaf pan(s). 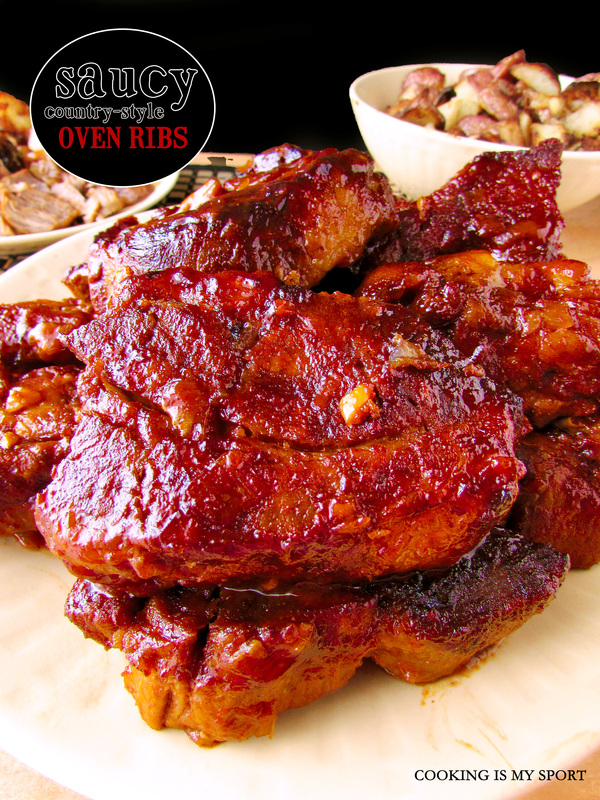 Tap the bottom of the pans onto a countertop a few times to eliminate air bubbles. Allow cake to cool for at least 35-45 minutes on a wire rack before unmolding from pan, then allowing to completely cool on a wire rack. 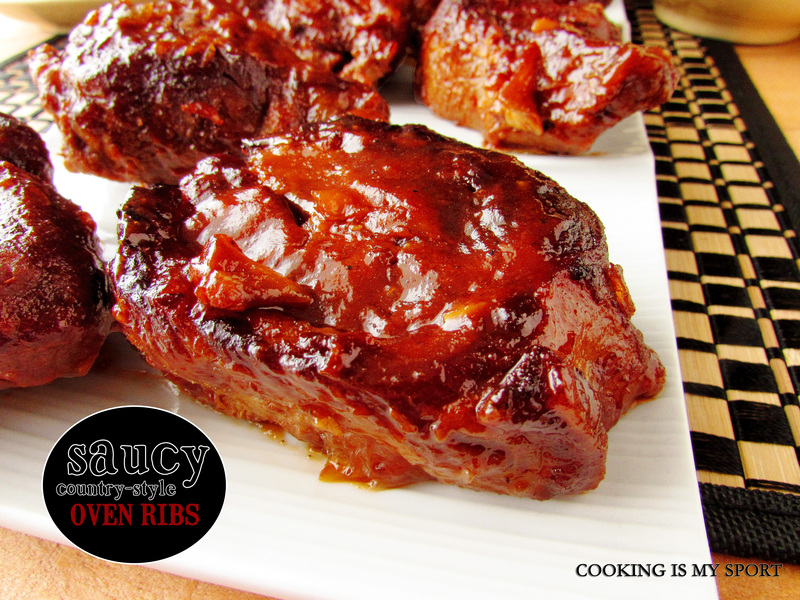 For Glaze: combine the sugar with a few tablespoons of milk until it forms a smooth, but still somewhat stiff glaze. 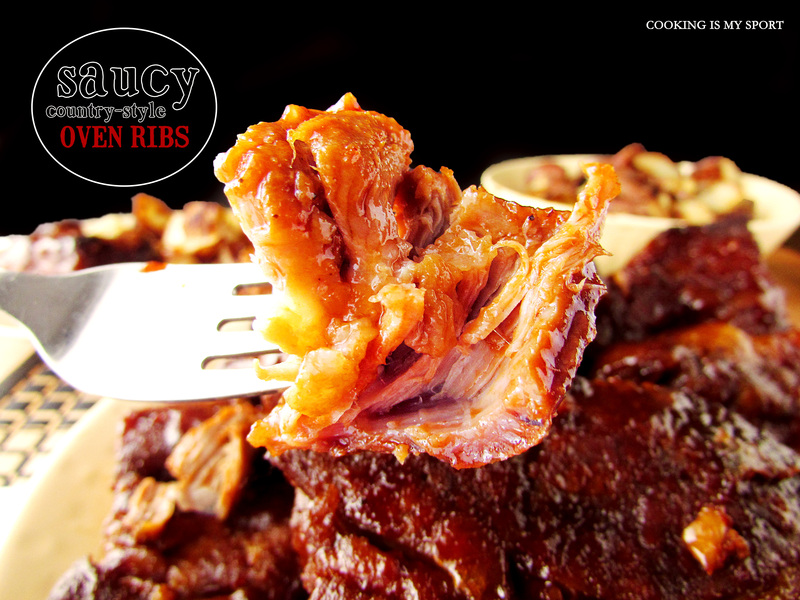 Use a fork to drizzle on the top, and allow to sit for at least 15 minutes until it is set. There’s an outlet store just down the street from where I live that is really, really dangerous for me to go to. Number one, it’s an outlet store, so that means that everything there is super marked down in price. The danger for me lies in the fact that they have a pretty large cook book section- and the cook books are actually REALLY nice, quality ones. I’ve walked out of there with cook books two or three inches thick FILLED with delicious recipes that I’ve gotten for under $10.00. It really is a good deal. It IS. 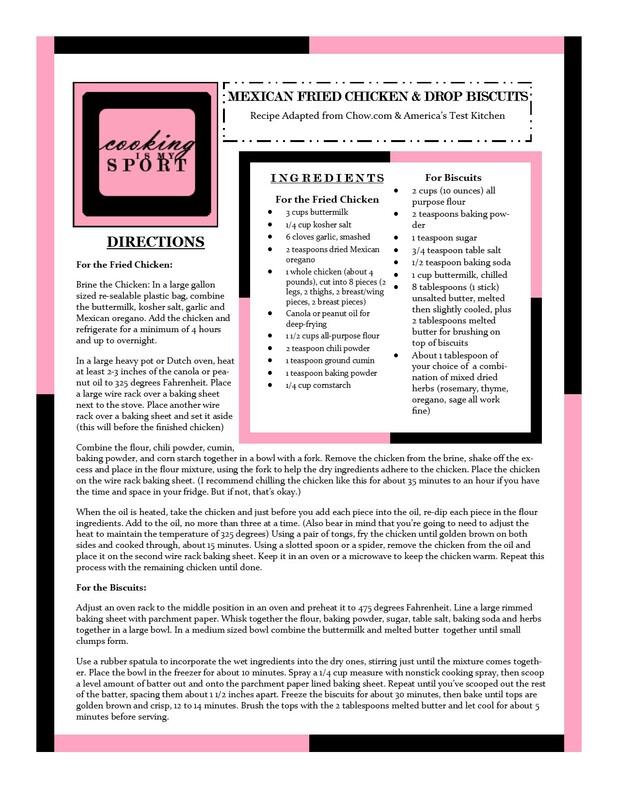 As much as I try to come up with new and original recipes for the blog, often I find myself suffering from ‘foodie guilt’ because of all the pre-written recipes I have sitting around in my embarrassingly large cookbook collection, as well as all the numerous binders I have of recipes I’ve cut out of food magazines and printed from offline. 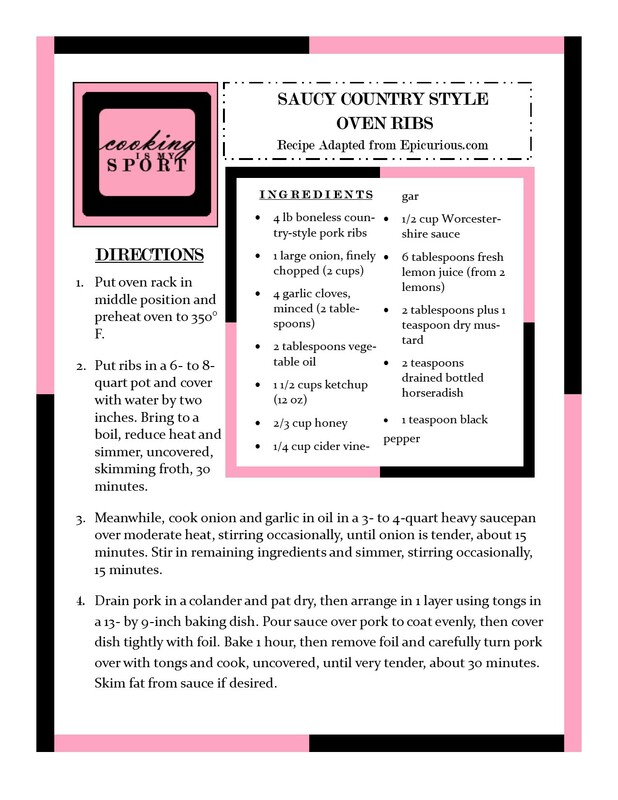 Here’s the thing: when I’m BUYING the cookbook or printing off the recipe, I will SWEAR to myself that I’m going to use it all the time, that I’m actually going to work through the entire book or cook the particular recipe every week. And when I catch myself not exactly following through with that I’ll go through a period where I’ll be gung-ho about trying to test out all of the recipes I’ve saved from the internet or bookmarked in my cookbooks. Y’know, just to convince myself that I wasn’t wasting my money or printer ink- both of which I really can’t afford to waste like that. The process usually boils down to me either first seeing what I have ahead of time in the house, or what’s on sale this week at the grocery store, then matching it against what I’ve bookmarked in the cookbooks or online. A week or so ago, I knew that I needed to put together a new recipe for the blog, but I was also having a bout of ‘foodie guilt’ and didn’t feel like trying to become inspired enough to write a new recipe. 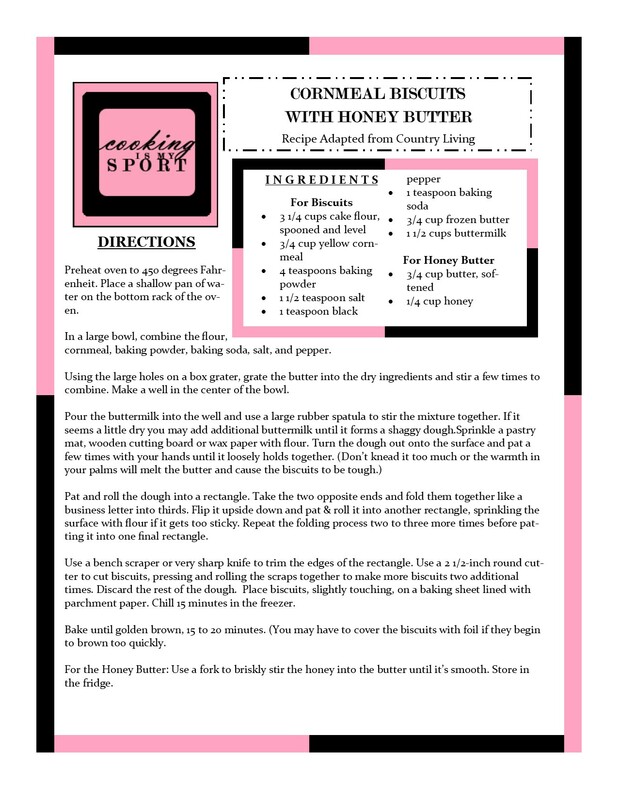 As it happens, I was also thumbing through one of my recipe binders when I came across a cut out from Better Home and Gardens magazine that caught my attention. For some reason, I always seem to have one or two sweet potatoes on hand in the house. (‘Some reason’ really just meaning that I love them and would be really pissed off if I had a craving for one and suddenly couldn’t have any because we were out). 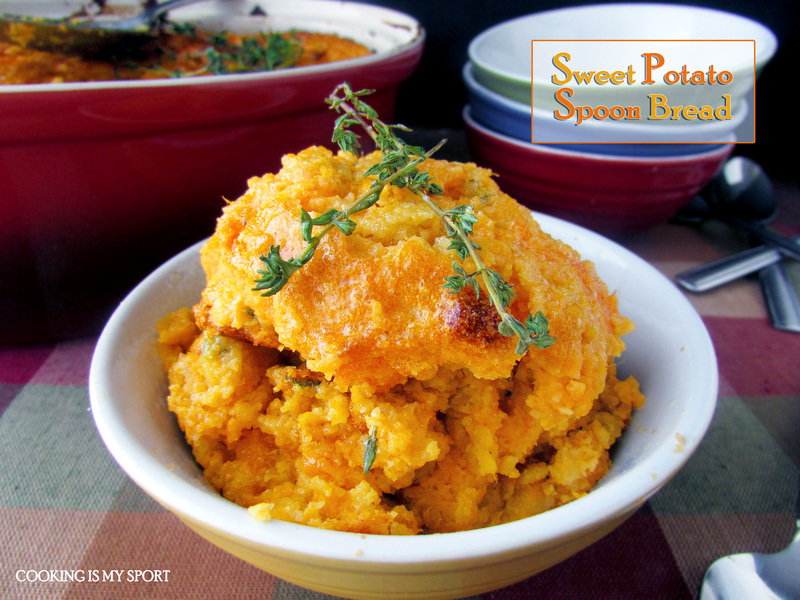 But it worked out pretty well for that day because the recipe that I came across was for something called Sweet Potato Spoon Bread. 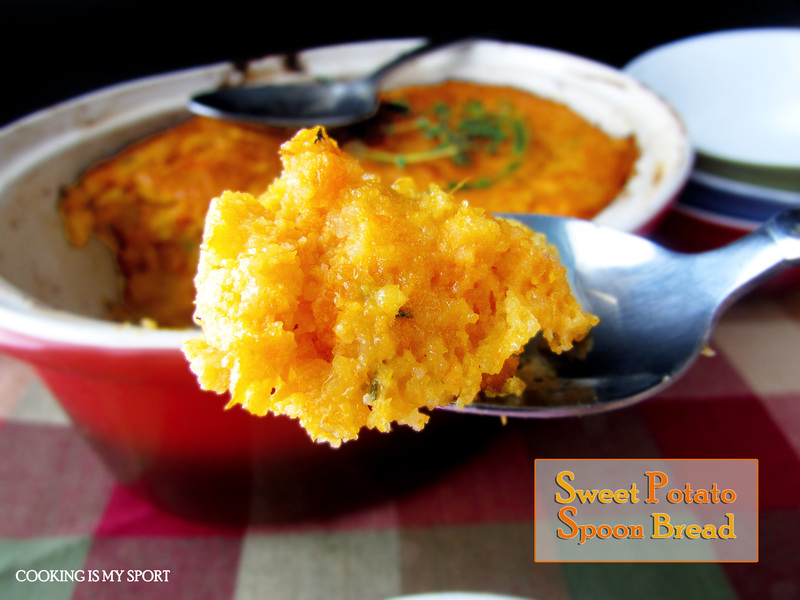 Spoon bread is a dish that is pretty popular in Southern-style cooking, but interestingly enough, I’d never tried it before. I wasn’t even completely sure what it was or what it would taste like until I looked through the ingredients list and directions for this recipe. I had a day off work, and all the ingredients in the house and it did look pretty yummy in the magazine so I decided to take the plunge and give it a shot for myself. 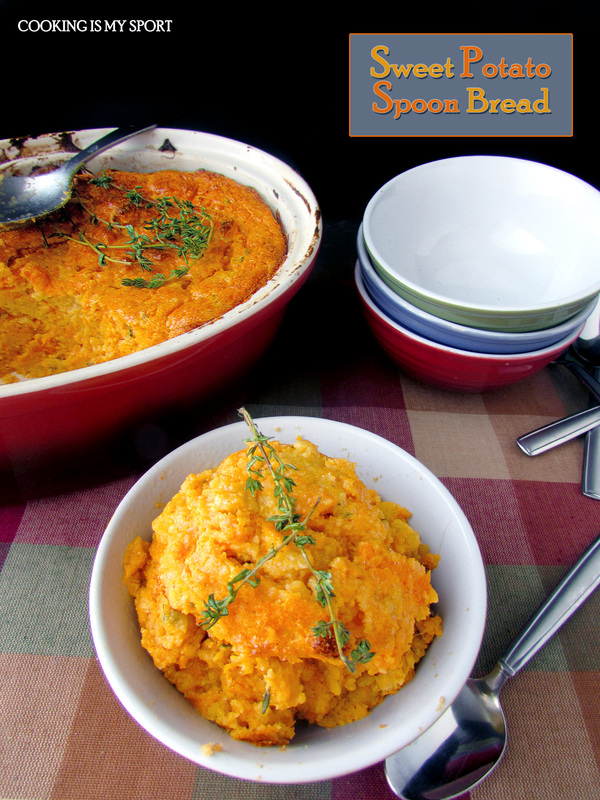 I’d be willing to bet that I’m not the only person who’s not all that familiar with spoon bread, so just in case the pictures aren’t doing enough for you guys, I can go ahead and give you a rundown of what it tastes like. It’s probably pretty obvious, but this isn’t really bread in the sense that we would think of dough-like carbs, per se. 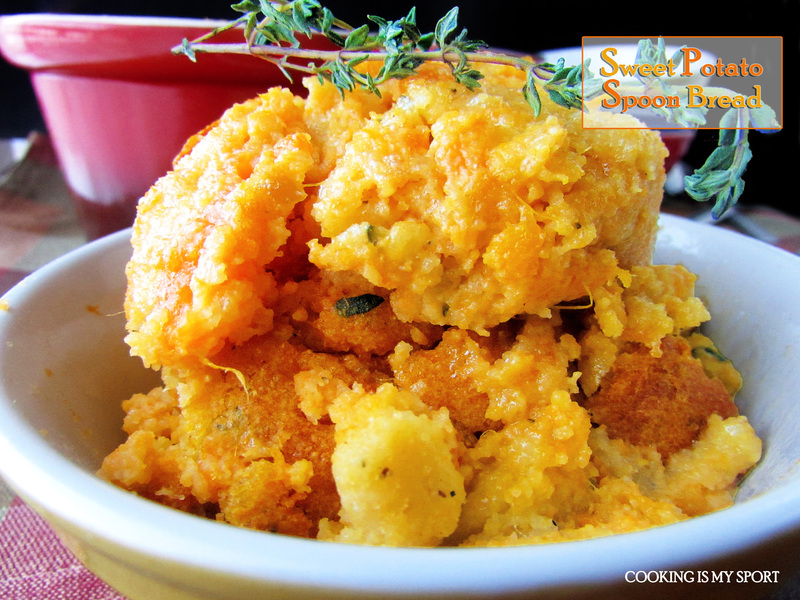 I would actually describe spoon bread as a kind of savory style casserole-pudding. The eggs and egg whites give it a very fluffy, smooth texture and while it’s heavier than a souffle, it’s lighter than any kind of bread. Having said that, this recipe came out very well. 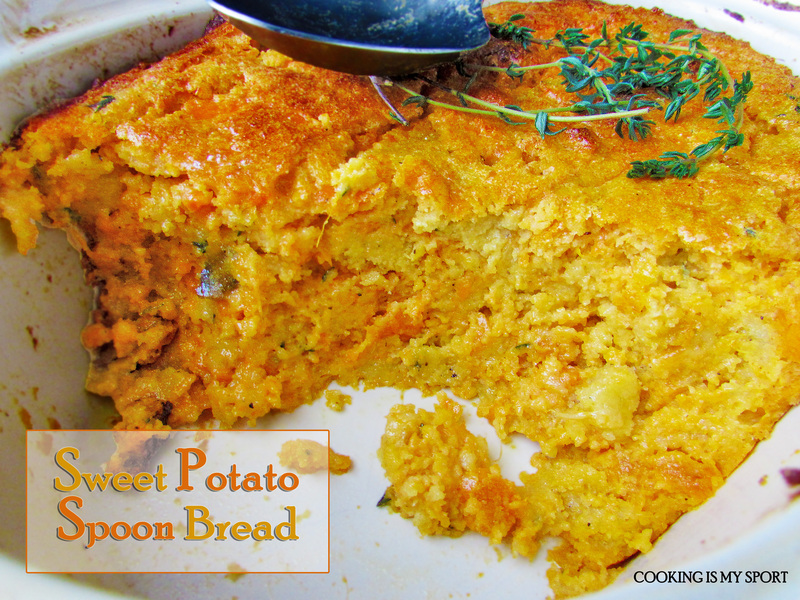 The sweet potato flavor really comes through and is complimented nicely with the thyme. 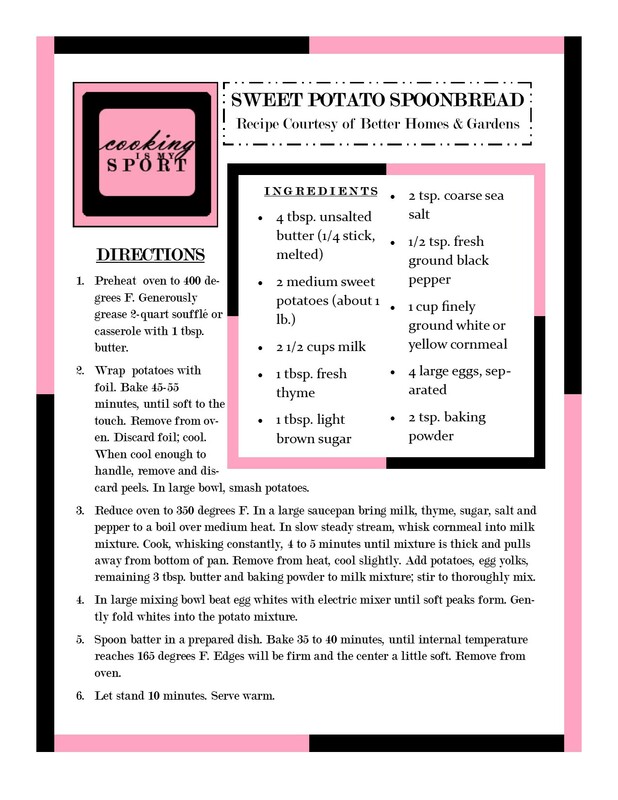 I especially liked the inclusion of cornmeal in this recipe, just to give it enough texture so the dish wasn’t too one-note. I topped this with homemade cranberry sauce and ate it as a side dish for dinner, but I could also see melted cheese working VERY well also. See? My Foodie Guilt does yield good results after all. 1. 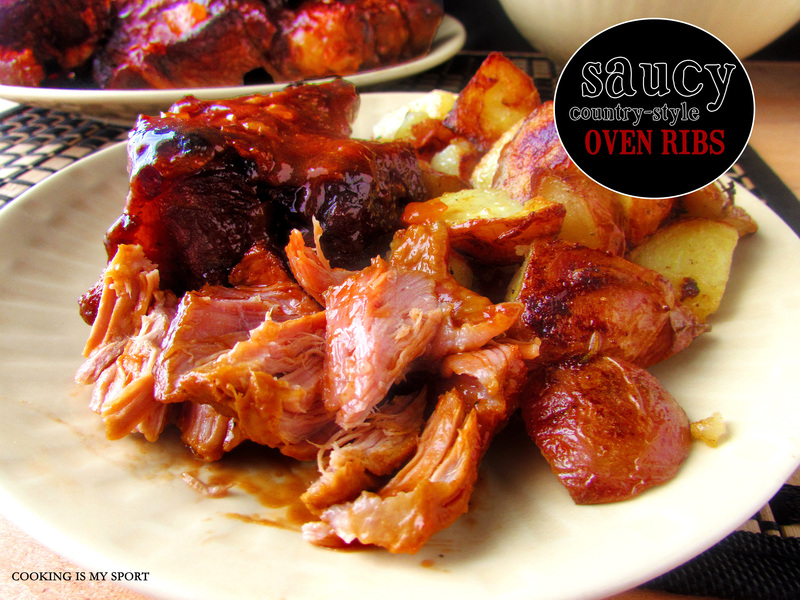 Preheat oven to 400 degrees F. Generously grease 2-quart soufflé or casserole with 1 tbsp. butter. 2. Wrap potatoes with foil. Bake 45-55 minutes, until soft to the touch. Remove from oven. Discard foil; cool. When cool enough to handle, remove and discard peels. In large bowl, smash potatoes. 3. Reduce oven to 350 degrees F. In a large saucepan bring milk, thyme, sugar, salt and pepper to a boil over medium heat. In slow steady stream, whisk cornmeal into milk mixture. Cook, whisking constantly, 4 to 5 minutes until mixture is thick and pulls away from bottom of pan. Remove from heat, cool slightly. Add potatoes, egg yolks, remaining 3 tbsp. butter and baking powder to milk mixture; stir to thoroughly mix. 4. In large mixing bowl beat egg whites with electric mixer until soft peaks form. Gently fold whites into the potato mixture. 5. Spoon batter in a prepared dish. Bake 35 to 40 minutes, until internal temperature reaches 165 degrees F. Edges will be firm and the center a little soft. Remove from oven. 6. Let stand 10 minutes. Serve warm. I’m about to say something that for some of you, will make absolutely no sense whatsoever. I realize this. Heck, it almost doesn’t make any sense to me; but it is the truth, so I’ll just go ahead and say it anyway. There is a shortage (in fact let’s just call it an absence) of seafood dishes on Cooking is My Sport. It’s not that this is an accident. To be honest, it’s actually pretty intentional. And will probably, very likely remain that way. Why? Because I don’t really like fish. I realize that for some of you, your mouths are hanging open and your eyes are bugging out of your head in shock. I know; because EVERYONE likes fish, right? Wrong. I don’t. Neither do the people that live in my house. Not most fish anyway. I’ve heard people give me all kinds of reasons and rationalizations as to why I have a ‘misplaced’ dislike for the meat of the sea: I haven’t had fish that was ‘fresh enough’. the fish I had wasn’t ‘cooked properly’, I need to eat more fish because it’s ‘healthier’, I need to ‘get creative and eat more types of fish’. Blah, blah, blah. I’m not buying it anymore, folks. I’ve had fish that was frozen from the grocery store, and fresh fish off the coast of Miami Beach in 5 star restaurants. I’ve had fish cooked for me, and fish I’ve cooked myself. I’ve had salmon, crappies, blue gills, shrimp, lobster, crab, tilapia, and cod. And yeah, you do feel kinda ‘lighter’ after eating it than you do after eating say… pork or beef. But seriously, I don’t care about that. I’ve really tried to hop on the Fish bandwagon. But it just didn’t work out for me. I will concede on a few things. Salmon can be tasty when cooked properly. I like shrimp in fried rice and jambalaya. However for me, the majority of fish dishes out there pretty much just taste like…fish. There’s just something about the meat that for me doesn’t absorb flavor and spices as well as other proteins- at least not in a way that takes away that ocean-y aftertaste. Unless you fry it. That’s a different story. 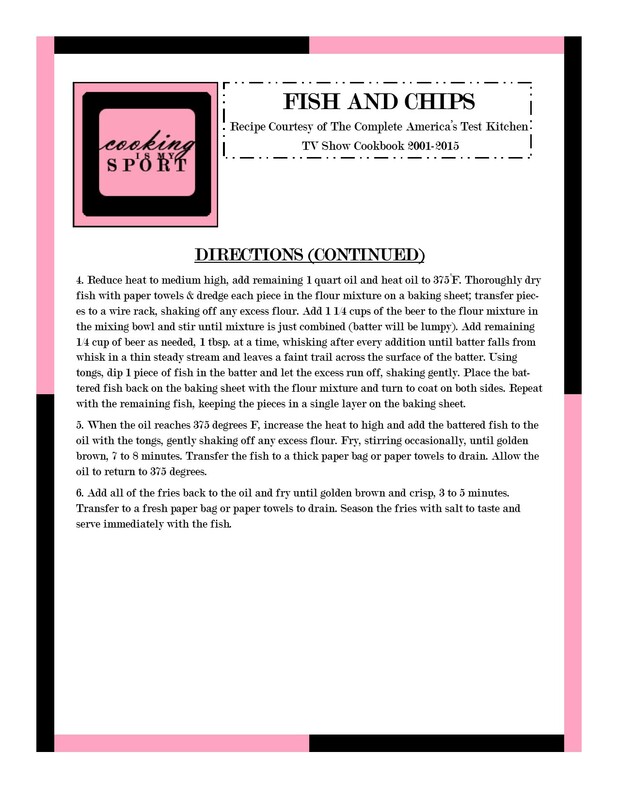 But this past Christmas, I bought myself the America’s Test Kitchen Cookbook as a present and noticed their recipe for Fish and Chips. 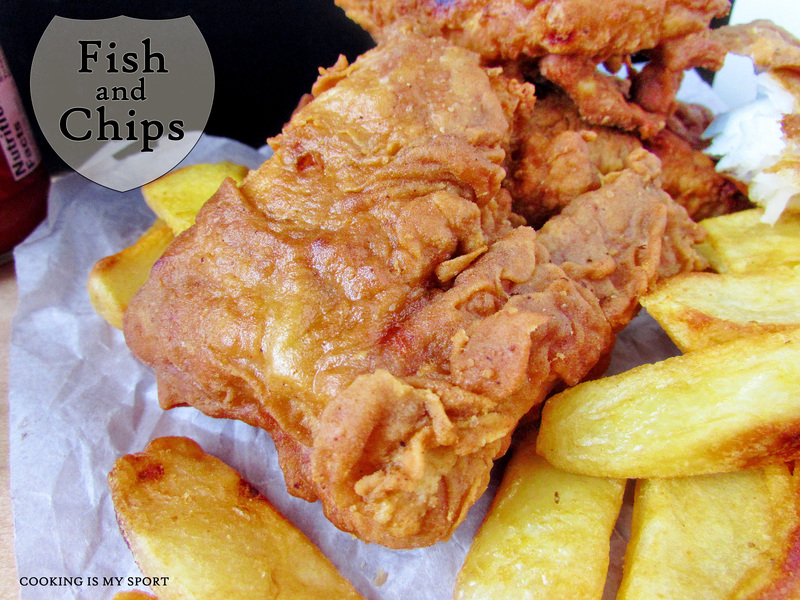 Don’t laugh at me guys, but for a long time (longer than I’m even willing to admit) I didn’t even know what the ‘chips’ of Fish and Chips was. The ‘Fish’ part was pretty obvious, but I didn’t know how it was supposed to be prepared, and I was completely clueless as to what the ‘chips’ were. Was ‘chips’ a code-word for something else? Were ‘chips’ the chips I knew of that came in a yellow bag on the potato chip aisle of the grocery store? Why would anyone want to eat fish with potato chips anyway? I did eventually get around to figuring out that ‘chips’ were pretty much what I knew of as french fries. 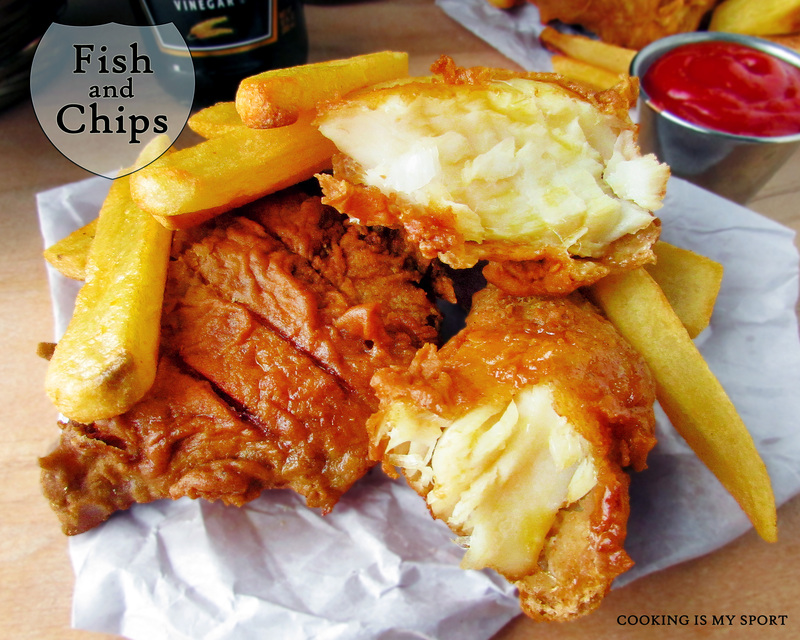 In reading the cook book, I also saw that the fish was typically dipped in a beer batter and deep fried until golden brown. This caught my attention and interest for 2 reasons. First, I’m a human and I’m sane- which is basically synonymous with having a great and all encompassing love of french fries. 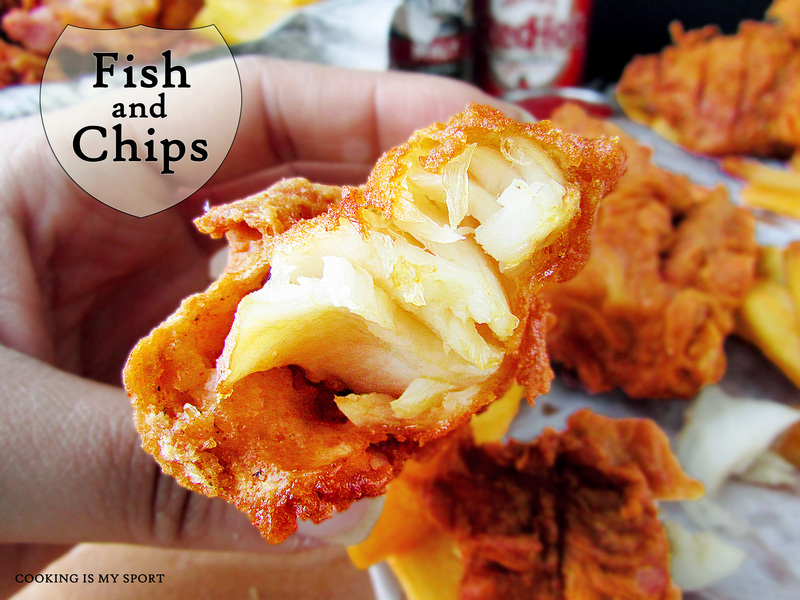 Second, anything that gets dipped in a beer batter and deep fried…well suffice to say, it’s pretty much impossible that it’s gonna taste bad. Even fish. Im-possible. So what did I do? 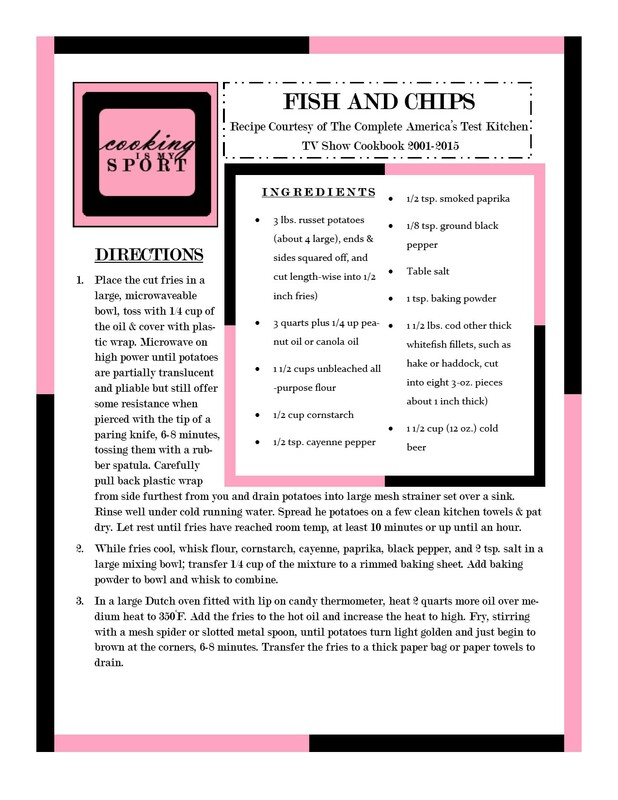 Well, I took a gamble; I went out and bought some cod fillets with potatoes, pulled out my deep fryer and got to work. Because I don’t cook with fish, I followed the ATK directions to a T; I even bought malt vinegar to sprinkle on the finished fish like they recommended (even though before now, I didn’t know there was such a thing as malt vinegar). Yeah. Okay, um… this fish is good. Like really, really good stuff. And I honestly never thought I’d ever be saying something like that. But I am. Because I’ll never lie when it comes to food. I almost don’t even know where to start when trying to describe this dish. Oh wait. 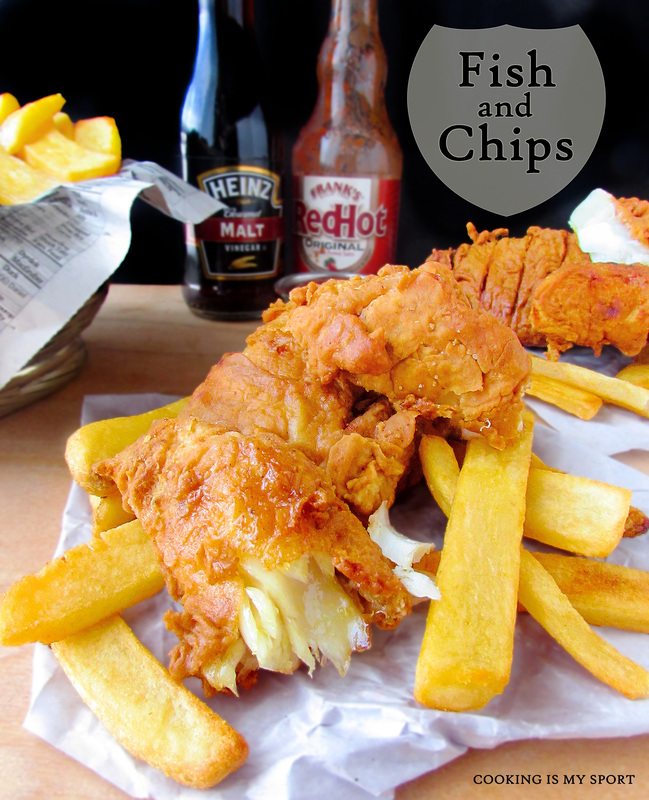 Yes I do: with the beer batter crust on the fish. Wow. Just…wow. The crunch you get when you bite into it is almost unbelievable. 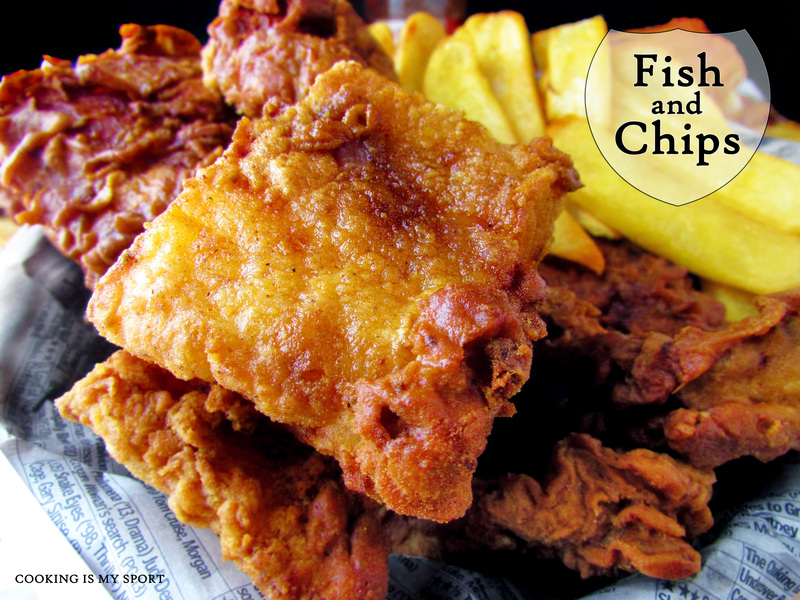 It’s perfectly golden brown and is so well complimented by the puff of airy tenderness of the fish itself. 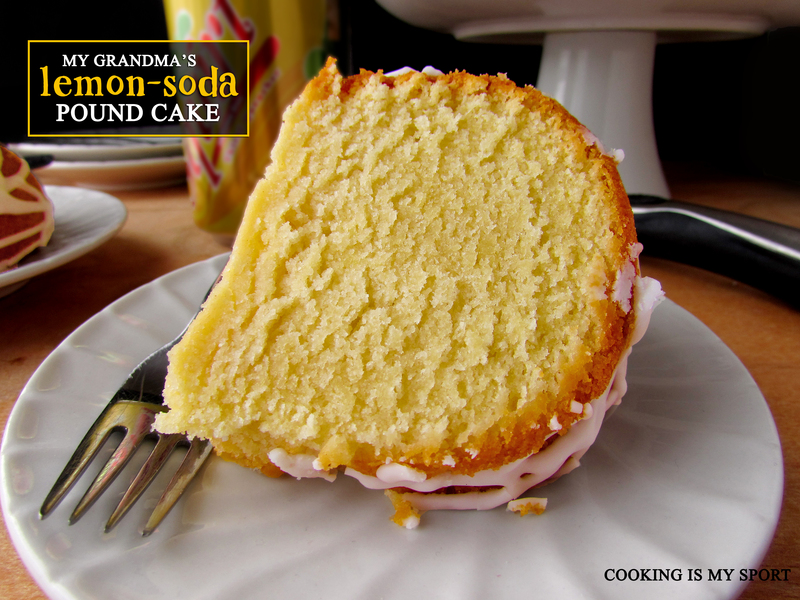 The malt vinegar is exactly what you need to cut the saltiness of the batter and makes the flavors pop all the better. I won’t lie guys, the potatoes are pretty labor intensive. And even though they came out beautifully, I have to be honest and say in the future I will probably take the shortcut and buy frozen ones to eat instead. Judge me if you like, I don’t care. That’s what they’re there for, right? My house may have smelled like a fish market for a few days afterward, but I was still really pleased with how my first attempt at Fish and Chips turned out. It was even something family was willing to eat (which is really saying something). I couldn’t believe this was something I actually MADE. Me: the girl who hates fish. Maybe this is a sign I should start broadening my horizons and being more open to eating fish more often. I will say this though, I feel confident enough about this dish to bring it to the Fiesta Friday Anniversary Party Part 2, hosted by Angie@TheNoviceGardener and co-hosted by Nancy @Feasting With Friends and Selma @Selma’s Table. Because I’m sure there are plenty of fish lovers here right? 1. Place the cut fries in a large, microwaveable bowl, toss with 1/4 cup of the oil & cover with plastic wrap. Microwave on high power until potatoes are partially translucent and pliable but still offer some resistance when pierced with the tip of a paring knife, 6-8 minutes, tossing them with a rubber spatula. Carefully pull back plastic wrap from side furthest from you and drain potatoes into large mesh strainer set over a sink. Rinse well under cold running water. Spread he potatoes on a few clean kitchen towels & pat dry. Let rest until fries have reached room temp, at least 10 minutes or up until an hour. 2. While fries cool, whisk flour, cornstarch, cayenne, paprika, black pepper, and 2 tsp. salt in a large mixing bowl; transfer 1/4 cup of the mixture to a rimmed baking sheet. Add baking powder to bowl and whisk to combine. 3. In a large Dutch oven fitted with lip on candy thermometer, heat 2 quarts more oil over medium heat to 350°F. Add the fries to the hot oil and increase the heat to high. Fry, stirring with a mesh spider or slotted metal spoon, until potatoes turn light golden and just begin to brown at the corners, 6-8 minutes. Transfer the fries to a thick paper bag or paper towels to drain. 4. Reduce heat to medium high, add remaining 1 quart oil and heat oil to 375°F. Thoroughly dry fish with paper towels & dredge each piece in the flour mixture on a baking sheet; transfer pieces to a wire rack, shaking off any excess flour. Add 1 1/4 cups of the beer to the flour mixture in the mixing bowl and stir until mixture is just combined (batter will be lumpy). Add remaining 1/4 cup of beer as needed, 1 tbsp. at a time, whisking after every addition until batter falls from whisk in a thin steady stream and leaves a faint trail across the surface of the batter. Using tongs, dip 1 piece of fish in the batter and let the excess run off, shaking gently. Place the battered fish back on the baking sheet with the flour mixture and turn to coat on both sides. Repeat with the remaining fish, keeping the pieces in a single layer on the baking sheet. 5.When the oil reaches 375 degrees F, increase the heat to high and add the battered fish to the oil with the tongs, gently shaking off any excess flour. Fry, stirring occasionally, until golden brown, 7 to 8 minutes. Transfer the fish to a thick paper bag or paper towels to drain. Allow the oil to return to 375 degrees. 6. Add all of the fries back to the oil and fry until golden brown and crisp, 3 to 5 minutes. Transfer to a fresh paper bag or paper towels to drain. 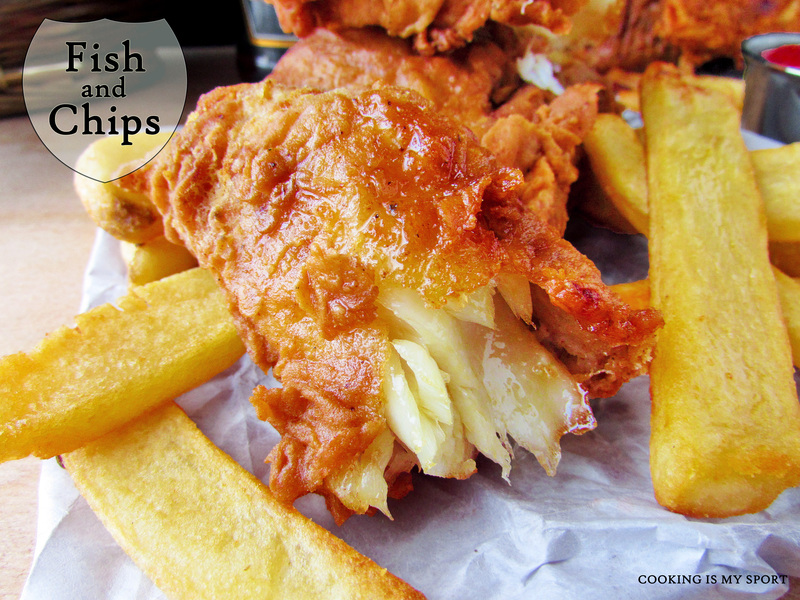 Season the fries with salt to taste and serve immediately with the fish.